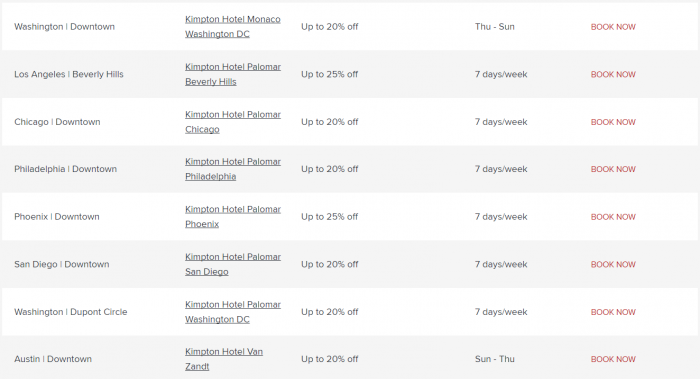 IHG Rewards Club has launched first ever Kimpton sale for stays through April 30, 2018. Loyalty program members can save up to 25% off their stays at participating hotels in the United states that are booked by February 10. 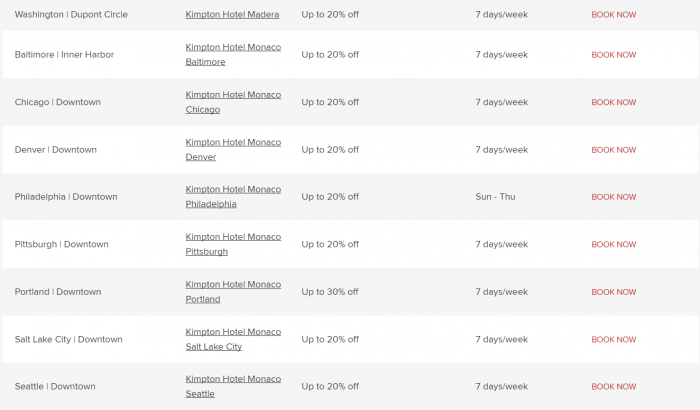 Kimpton used to have these very same sales for Karma program members. Seems that they are now open for all IHG Rewards Club members when Karma is merely a flag in your account just like the Ambassador. Welcome to the terms and conditions, a.k.a. “small print,” where we are obliged to let you know this member exclusive offer is subject to availability and valid for stays from January 25, 2018 through April 30, 2018. Offer must be booked by February 10, 2018 under this exclusive rate code. This offer has a 7-day cancellation policy. You must cancel at least 7 days prior to arrival to avoid any charges. The world being the way it is, additional taxes and fees may apply. Not valid in conjunction with any other promotions or offers. Not valid for discounted or negotiated rates, groups or existing reservations. Certain restrictions and blackout dates may apply. 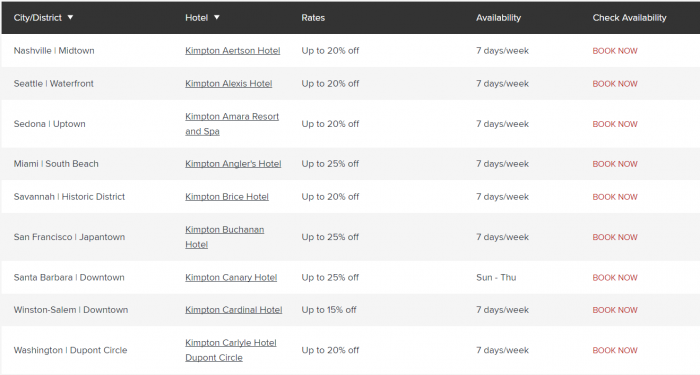 Finally, Kimpton Hotels reserves the right to cancel reservations booked with erroneous room rates.